Another week of hockey is upon us, and this week's top games will come courtesy of the New York Rangers and Chicago Blackhawks. The two teams will play in three of this week's five priciest games, with their matchup on Friday serving as the most expensive game this week. The Maple Leafs and Bruins also appear on this week's list for respective home games this weekend. United Center will be the site of two of this week' top games, and Friday's meeting with the Rangers will be the priciest game of the week on the secondary market. As it stands now the average resale price for Blackhawks tickets at United Center is $276 and the cheapest are listed from $103 each. Interestingly enough, it will be the third cheapest Blackhawks home game remaining behind a Sunday meeting with the Stars (mentioned below) and a December 6 game against the Coyotes ($159 avg./$33 get-in). Following their game in Chicago, the Rangers return home to host the Devils on Sunday. It will be the second most expensive game this week, with Rangers tickets averaging $265 and the get-in price listed from $127. It will be the first and only time the Blackhawks visit the Rangers during the regular season. Following their stint with the Rangers, the Blackhawks remain at United Center to host the Stars on Sunday. It will be the second cheapest game remaining in Chicago this season, with tickets averaging $255 and the get-in price starting from $84. Sunday's game is considerably cheaper than the Stars' next trip to Chicago on March 23, where tickets average over $320 and the cheapest tickets are listed from $92 each. Sunday will also see the Maple Leafs take on the Avalanche at Air Canada Centre. While serving as the fourth most expensive game this week, it will be one the Leafs' cheapest remaining home games this season. Maple Leafs tickets at Air Canada Centre currently own a secondary market average of $239 and the get-in price starts from $73. 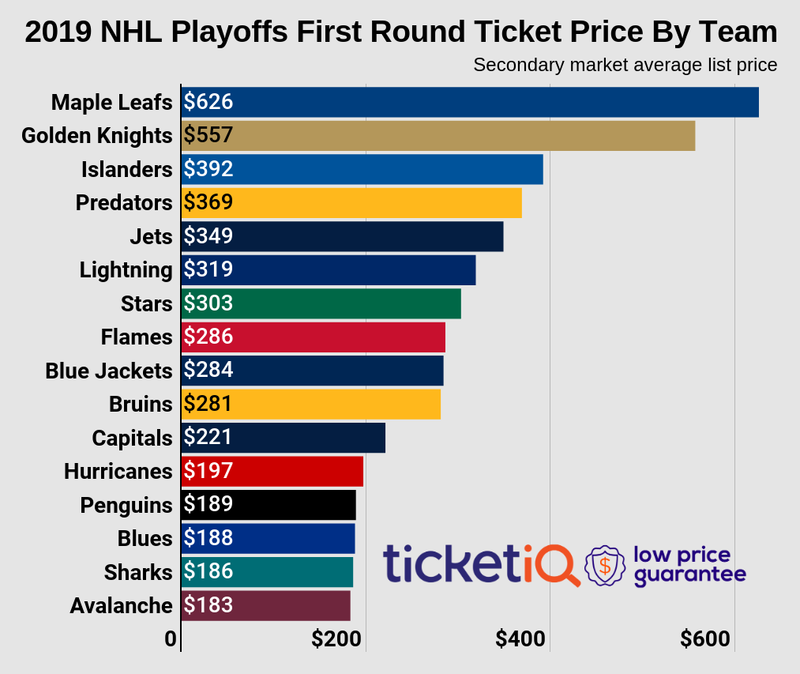 December will be a cheap month for fans to attend games in Toronto, as the Sharks, Ducks, Coyotes and Wild will each play in the cheapest games remaining this season. Rounding out this week's most expensive games list is a Saturday matchup between the Bruins and Maple Leafs in Boston. The cheaper of the two remaining meetings with the Maple Leafs, Bruins tickets to Saturday's game now own a $192 average and $93 get-in price. Expect to pay up if headed to their following matchup in February - tickets to that game currently own a $263 average and $104 asking price.